Our fantastic facility and the expertise of our coaches enable boys and girls of all ages to learn gymnastics in a safe, child friendly environment. Activities take place in the foam pitted gymnasium under the supervision of BGA qualified coaches. Children have fun while developing confidence, balance, strength, coordination and skill while working on apparatus such as bars, beam, floor, vault, rings and trampoline. The Club has produced several National Champions and has a long record of producing county and regional champions. Our boys regularly achieve top places in the National NDP Championships and as a result of their success in national competition several boys train in the South West squad. Our girls’ squads regularly compete in regional competitions and most are members of the Gloucestershire County Squads. 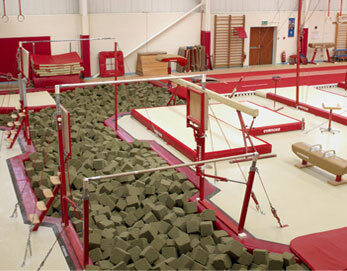 The Forest of Dean Gymnastics Club is ‘Gym Mark’ accredited by British Gymnastics and all coaches are vetted by DBS. All gymnasts are required to join British Gymnastics. This gives you insurance protection. You are now required to register directly by going to the British Gymnastics website and following instructions. Our structured programme includes working for both British Gymnastics and our Club Apparatus Awards. These reward achievement. The Club has produced several National Champions and has produced many County and Regional champions. Our boys regularly achieve top places in the National NDP Championships and several train in the South West squad. The girls’ squads compete in County & Regional competitions and most are members of the Gloucestershire County Squads. The Forest of Dean Gymnastics Club is accredited by British Gymnastics and all coaches are vetted by DBS.